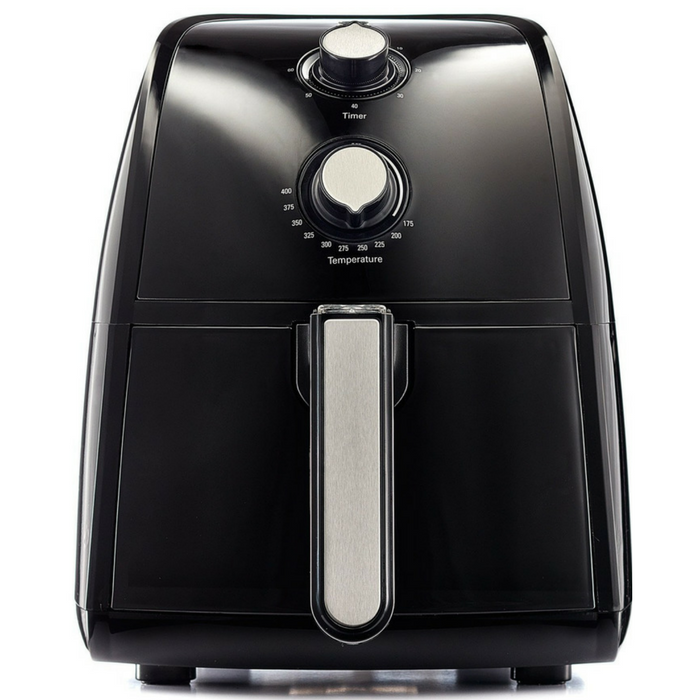 Bella Electric Hot Air Fryer Just $39.99! Down From $64! PLUS FREE Shipping! You are here: Home / Great Deals / Amazon Deals / Bella Electric Hot Air Fryer Just $39.99! Down From $64! PLUS FREE Shipping! Head over to Amazon to score Bella Electric Hot Air Fryer for just $39.99 down from $64 PLUS FREE shipping! Whatever you can deep fry you can air fry! Only it’s safer and healthier. With no oil at all, you use your BELLA Air Fryer to make crispy French fries, onion rings and chicken nuggets. Plus you can do more than a traditional deep fryer using oil can do. The BELLA Air Fryer is like having a convection-type oven at your finger tips. Use it to bake small cakes, loaves of artisan bread, or roast a whole chicken or other meats. French fries from frozen to crispy golden brown hot in less than 15 minutes! The BELLA Air Fryer lets you look in on food while it’s cooking, with safe-handling via its cool-touch parts. The 1500 watt Circular Heat Technology ensures quick, even cooking every time without a smelly, oily mess!